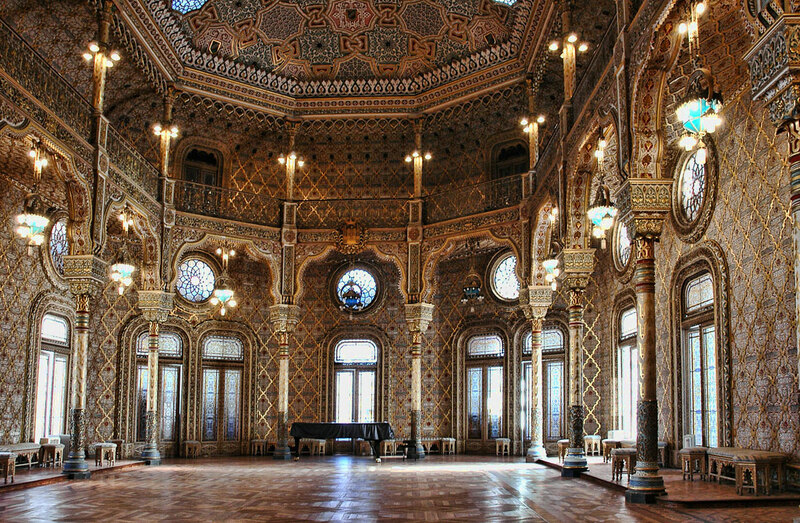 The fantastically ornate interior of the Arab Room in Porto's Palacio da Bolsa. The building was built in the 19th century as the city's stock exchange. Having such an extravagant interior was supposed to lend an air of credibility to the city as a European centre of investment. Now-a-days the Palacio da Bolsa is no longer the stock market and the Rab room is used for receiving heads of states and other visiting dignitaries in Porto.